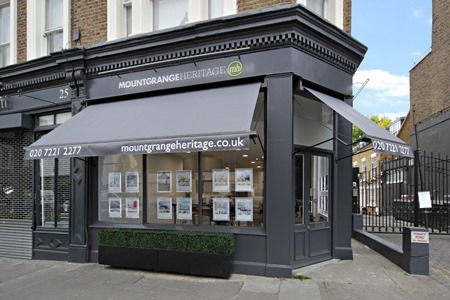 Mountgrange Heritage is an estate agent with a difference; we are owned by the people who run the company day to day. When we say that each client is treated as an individual, we really mean it. We don’t believe in pigeon holing our business so we don’t have a ‘typical’ property. We are capable and competent in selling or letting one bedroom apartments or large family houses. We tend to attract interesting (often creative) clients who want to work with a switched-on independent agency rather than dealing with the big High Street chains. 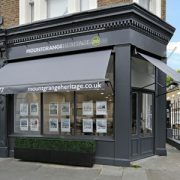 We opened our first office on Notting Hill Gate in 1999 and subsequently opened in Stratford Road, Kensington in 2006. We hope to open a third office by the end of the year. Your most interesting property sold/let? An amazing house in Newton Road (just off Westbourne Grove) which was a treasure trove of salvage yard idiosyncrasies and antiques, they also had four bee hives on the roof! Our clients were fabulous and so much fun to deal with. Favourite place in the office area? I love the vibrancy and honesty of Golborne Road, it’s like Portobello used to feel before the tourists took over. I also adore Stratford Village in Kensington, everyone knows everyone else, there’s a real sense of community in the city. International wealth has driven the property market in prime Central London for the last few years, the acute lack of supply has further underpinned the market and resulted in record prices being achieved. The next few months will be quite telling, as we come out of the quieter summer market we will know fairly quickly what impact, if any, the most recent global financial crisis has had on the market here. The one thing we can predict with confidence is that Central London will remain the sweetheart of global property, both in terms of investment and as a place to live. Last book you read – The End of Mr. Y by Scarlett Thomas – weird but wonderful! Favourite holiday destination – Can I choose three? India, Greece, Lake District. Favourite Movie – I’m a big fan of most of Cohen Brothers films. Famous person you admire – Ranulph Fiennes, he appeals to my ‘inner-adventurer’. Autumn-Winter 2011: What are values doing in the village?